Orsa is a small town in the center of Sweden. 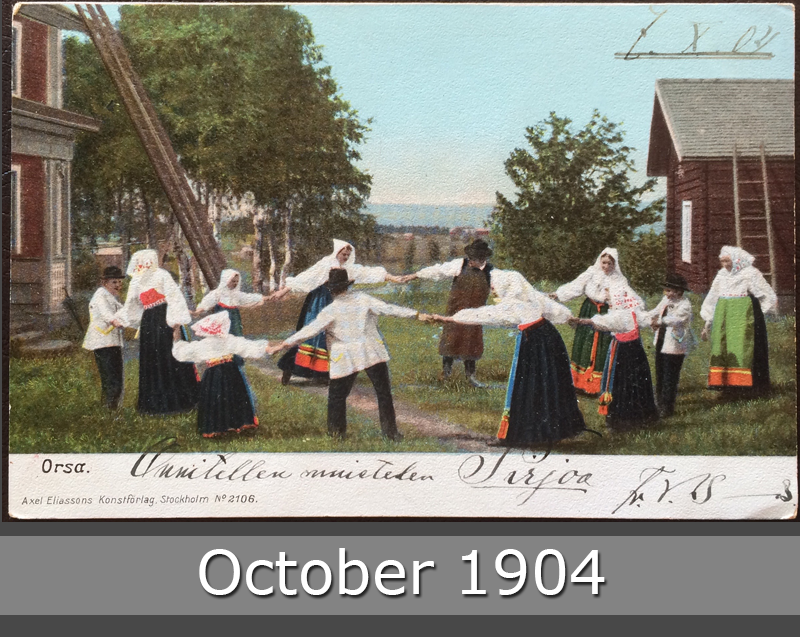 It is located in the northern part of lake Siljan, about 15 kilometres (9 miles) north of the town Mora. 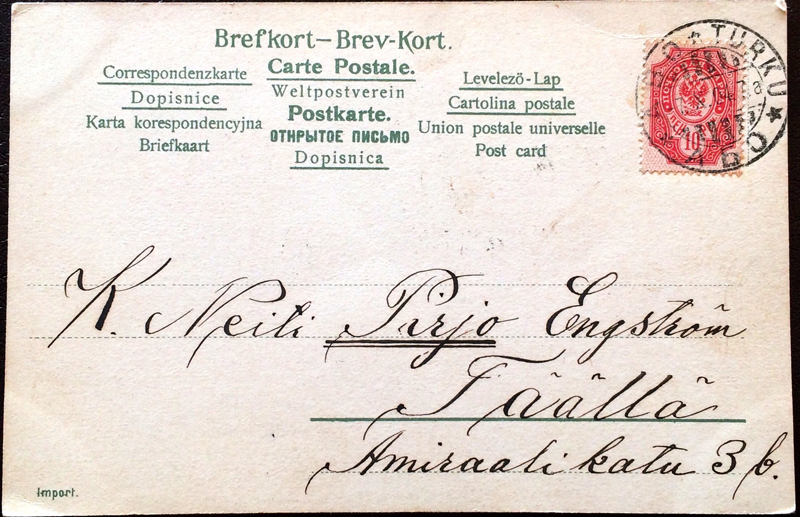 This postcard from 1904 was cancelled in Turku, Finland and has a russian stamp for Finland.